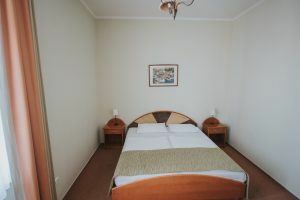 Re-energize with friends or family in our triple bedroom! 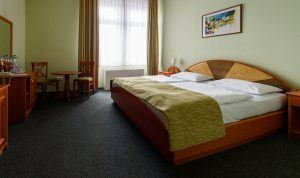 Rest with your family or friends in our spacious, air-conditioned and bright quad room! 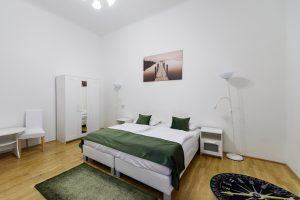 The two-bedroom apartment is a great choice for up to 6 people, perfect for relaxation! 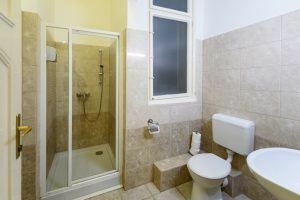 The apartment consists of 2 separate rooms with their own bathroom, a fully-equipped kitchen and a large living area. Traveling alone? 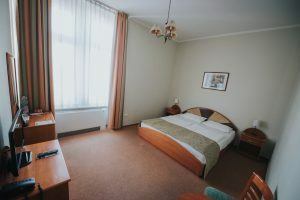 Our comfortable single room has been designed just for you! 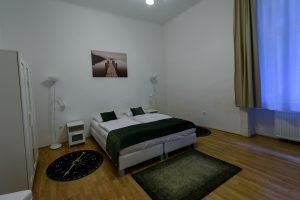 Feel at home in this huge apartment with own living area, full cooking space and double bathrooms! Suitable for up to 8 people! Double bed or two separate ones? Whatever the option, comfort and relaxation is a guarantee in our rooms! 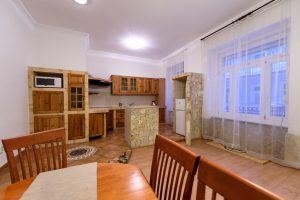 Enjoy the cozy ambience of the Two Bedroom APartment with the spacious living space, cooking area and two bathrooms. The room was cosy and very clean, and so was the bathroom. Just as you wish it. jan s. 2019. April 6.
i will all time have such spacy room. 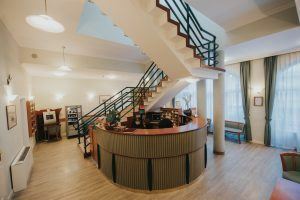 The Baross City Hotel is at the service of its guest in the city center with 61 rooms for families with child and groups of friends! 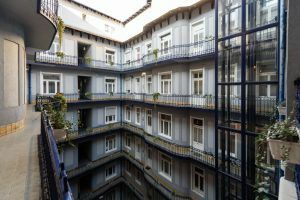 Just a minute from the Keleti Railway station sits our hotel in a renovated century-old building with a cozy courtyard and classic architecture that will amaze every guest. Experience the atmosphere of a city-centered dwelling house with round corridors and inner balconies. Since the hotel is bicycle-friendly, there are bicycle racks in the yard for all who arrive by bicycle. 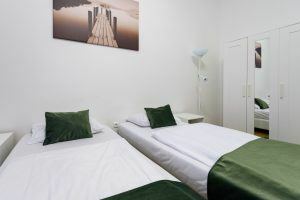 The comfortable and cozy two-, three or four-bed rooms with free WiFi and adjustable air conditioning help the guests to relax and rest after a long day. Our hotel offers guests a rich breakfast buffet and city sightseeing tours. 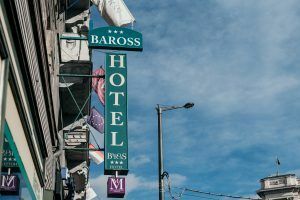 The Baross City Hotel can be found in the center of Budapest, right next to the Keleti Railway Station. 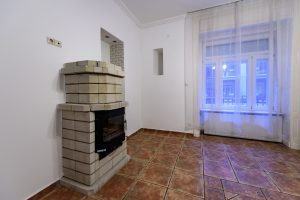 Due to its central location, it is the perfect starting point for exploring the city. 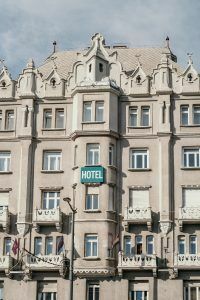 The nearby Keleti Railway station provides fast and easy access to famous sights and shopping malls around the city.